The Tennis Company is a specialty store because specialty stores offer more personalized attention and better service than big company mega-warehouse operations. Our team is small by design. Smaller is better for the customer. You'll never know how much fun tennis can be until you've gotten the right product advice and the right equipment for your skill level and playing style. That's why every one of our team members has the in-depth product knowledge. Our experienced staff can make expert equipment recommendations for all types of tennis players from beginners to touring pros. It's why we critically evaluate the equipment we offer for sale to screen out the junk. 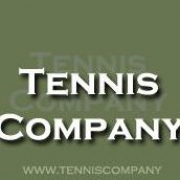 The Tennis Company sells the gear that works best for our customers. Nothing ever gets in the door just because it has a high profit margin. It's the reason our highly certified staff of racquet technicians -with extensive ATP tour experience - use only the very best equipment available for racquet customization and stringing. A typical big company selling volumes of mass merchandise on low price simply can't afford to operate this way. A large operation isn't able to handle the challenges and financial risks of providing individualized advice to customers. That's why we're a specialty store with a small knowledgeable staff. Unlike a typical Internet retailer or large sporting goods store, we are perfectly positioned to provide our fellow tennis enthusiasts with superior products, service, and advice.